The Ukulele Uff Trio is comprised of Chris 'Ukulele' Uff on ukulele, Dave Searson on guitar and 'Brother' Bill Leach on Hawaiian guitar. They specialise in obscure and wonderful 1920s/30s jazz, Tin Pan Alley songs and traditional Hawaiian music, performed with a skill and authenticity that is rare today. The trio started as all good trios do, as a duo. Uff and Dave first met while still at school in Liverpool, where a mutual interest in music led to the formation of various musical projects, mainly with Uff on bass and Dave on drums or guitar. When Uff discovered the ukulele there was no stopping him. He practised day and night for years developing his own original style, until he felt ready to unleash his talents upon the world. Dave in the meantime had honed his technique of ragtime and swing guitar. 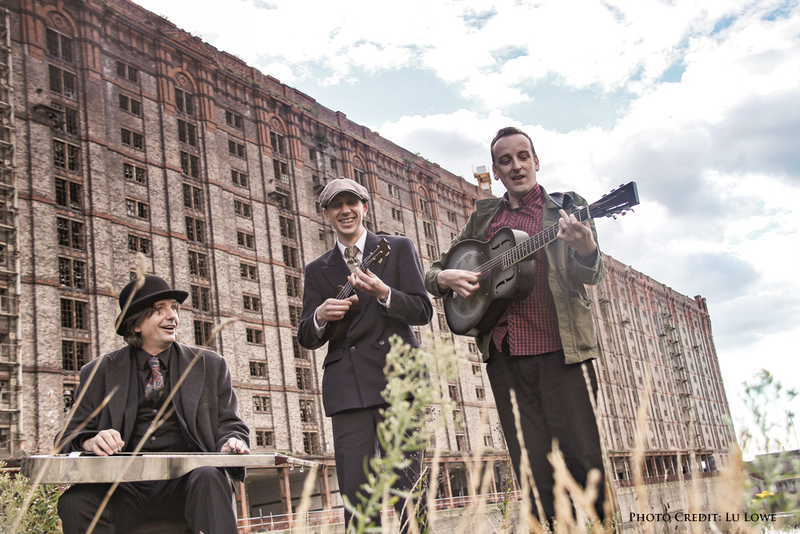 Uff and Dave appeared on the ukulele scene overnight, when footage from their debut performance in a variety show at Liverpool's Philharmonic Hall was uploaded to YouTube to much acclaim in 2012. Since then their high energy, skilled playing and relaxed stage presence has earned them a reputation as top entertainers around the World. 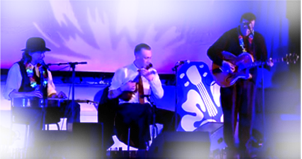 In 2014 Uff and Dave teamed up with lap steel virtuoso 'Brother' Bill Leach, who brought with him hair raising renditions of jazz age Hawaiian classics and beautiful traditional melodies brought over from his native Runcorn. Fitting in perfectly with Uff and Dave's nimble finger work, the group now sound better than ever! Towards the end of the year they released their first CD to much acclaim. 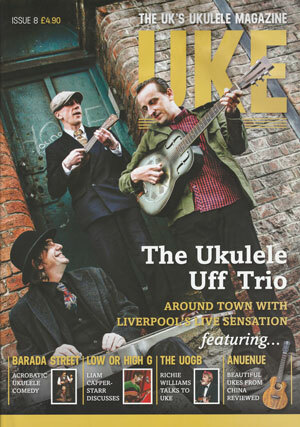 The Ukulele Uff Trio appeared in the December 2016 issue of UKE MAGAZINE.